Happy Monday friends! We had a really nice weekend filled with a little relaxing, a little shopping & a brunch with my girlfriends! After a full weekend out I was walking home from brunch on Sunday and realized how much lighter my purse was compared to my every day work tote! 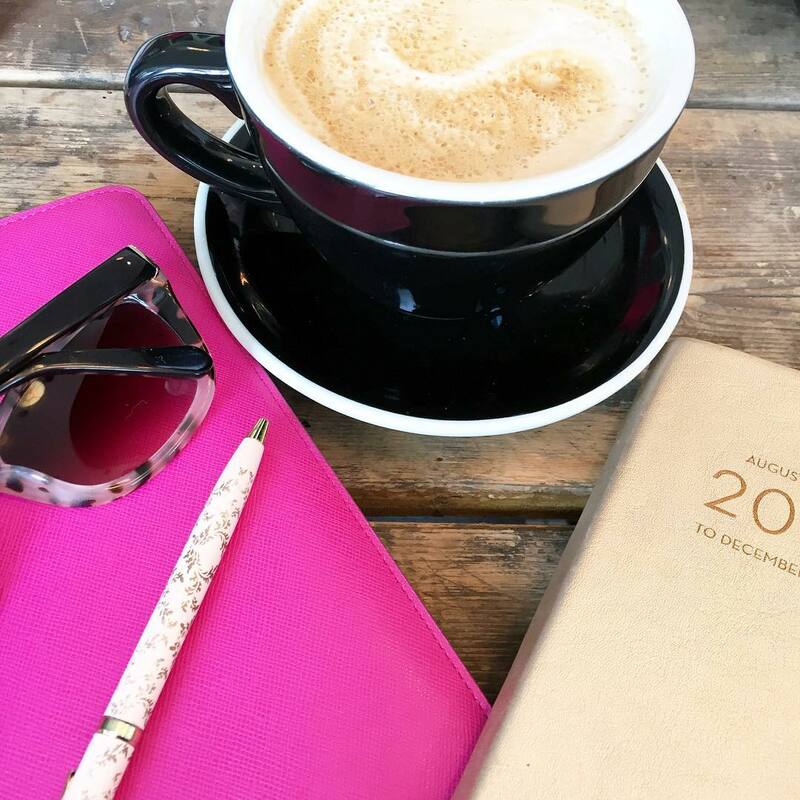 It prompted this post because I was curious to know how much of what I carry on a daily basis is unnecessary - come to realize about 85% of everything in my tote is unnecessary! I wanted to share the two purses that I wear every weekend and perfectly hold everything I need! I purchased this right before Thanksgiving and it's one of my favorite purses I've ever bought for myself. This is also the smallest bag I own, but I never think of it as being that small. I was between the one size up and this mini small one I ended up getting and I'm so glad that I went with the small size. 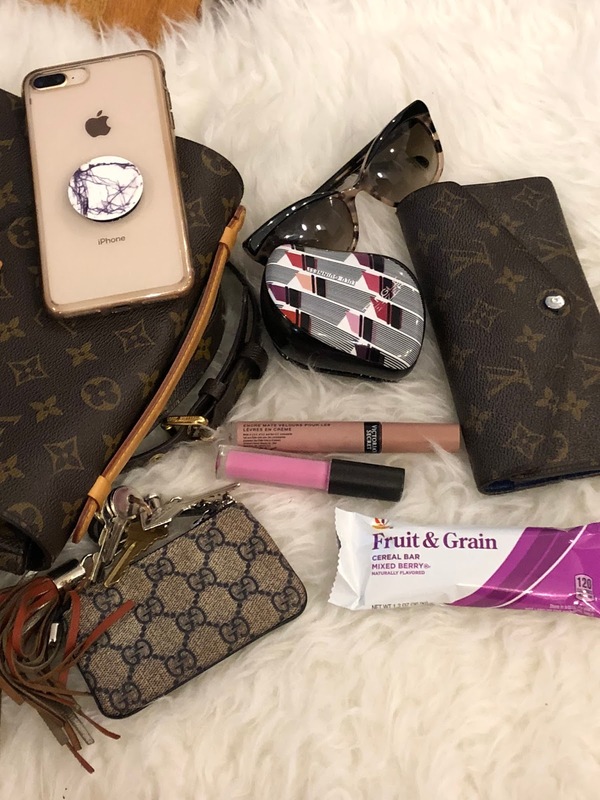 From the photo you can see that a card wallet, two lip glosses, my key holder, which could double as a wallet if I wanted it to and my phone all fit perfect with some room left over. I like having my hands free so I tend to wear this more as a cross body bag, but when I'm trying to dress an outfit up I'll wear it on my shoulder! I'm 5'7 and it hits at the hip perfectly - not high at all! Oh the Pochette Metis, without a doubt the bag I coveted for years before actually deciding to buy it only to find out when I was ready to purchase I would have to be placed on a wait list because everyone wanted this purse and they were producing it in limited quantities! Well fast forward to last April and I finally got my hands on it and I've been wearing it every single weekend since! 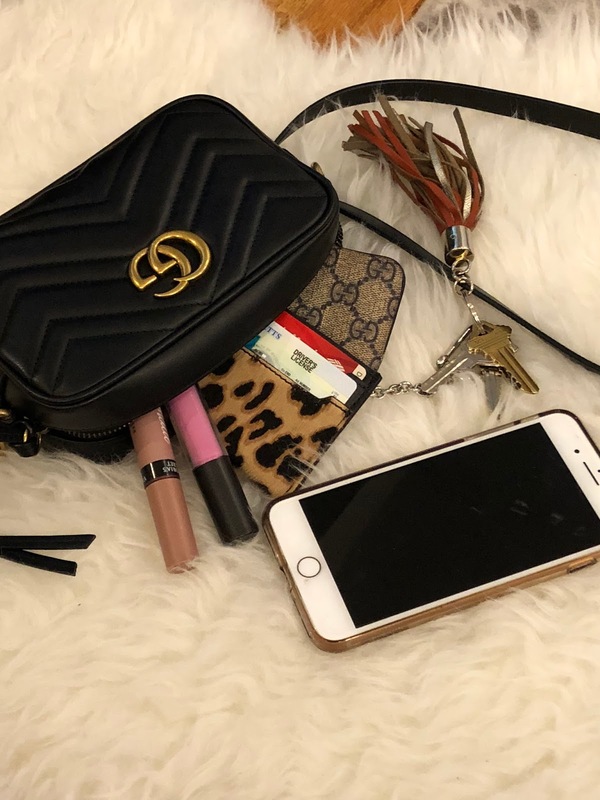 I was incredibly surprised the first time I started adding items to the purse, you can fit a ton in it and I've even worn it to work when I'm going out after and fit my iPad mini in the back pocket! I carry pretty much the same stuff with me, but add in my tangle teezer which is the best compact brush! It has a cover so there's no debris getting in the bristles. Since I'm normally out all day during the weekend I pack a snack #alwayshungry & my favorite sunglasses. There's still so much room left over that I am tempted to keep packing the purse, but I don't need all that extra junk! This is also the purse that I take with me on trips away because having hands free is just the best! I find that the bigger my purse is, the more junk and random stuff I'll end up stuffing in there like notebooks, about 10 different pens, 5 different lipsticks and anything else I can think of. I like wearing the smaller purse when I'm going to be out for just a couple hours or heading to dinner, but if I'm going to be out for the full day on the weekend, then the pochette metis is the one I reach for. 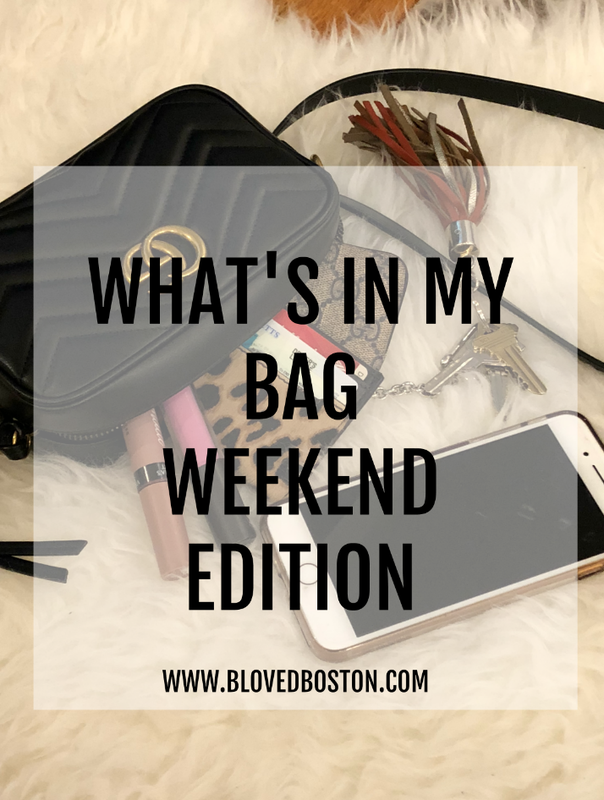 Do you wear different purses on the weekend versus during the week? 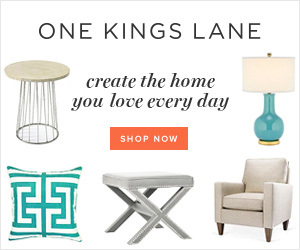 Are you a pack rat in bigger totes or are you way more organized!? Love love love that Gucci bag and the one linked comes up as a light pink one! Which made me want it all the more! It's so true about bigger bag = more junk we "need!" This is true for the stuff I pack for Camden, too!! I couldn't agree more -- the bigger the purse, the more junk! My work tote literally has 5 lipsticks in there right now...so unnecessary! I love the Gucci Marmont mini bag. It's definitely the perfect weekend bag! That bag is so fabulous!!!! I think I need to grab that mini brush, would you believe I never carry one and I definitely should be ;). Glad you had such a nice weekend! I definitely pack up my purse on a regular basis, but when using small bags, I totally scale down. I just love, love, love that LV bag! Wow, so true! Stuff gets lost in my bag when there is so much! Perfect lil CUTE bag you have there! I love this bag! I always opt for the larger bags and this small one looks like the perfect change! SO cute. I've been debating on getting that Gucci bag! SO cute and perfect for the weekends. I use my Louis 24/7 and I'm worried it's going to get worn out! Love seeing what all is in your bag! Yessss! My big purse weighs so much that the passenger seat belt lights and air bag sirens come on in my car! Crazy! Goodness gracious my bag is SO heavy and full of so much unnecessary crap! I need to clean it out! I love these posts because I'm nosy lol. I don't really care around a purse ever but if I showed off my school/work bag it'd be a hot mess haha. Yes, the bigger the purse for me means I add way more unnecessary stuff in it too! so both of these bags are on my dream bag wishlist - esp the gucci. i am full on in support of bags this size (which is prob why i wear my rebecca minkoff one all the time!) bc it's just so easy. cross body is my fav! Wow! So many good stuff! I love your bag! I probably carry way to much stuff in my every day tote! It takes me 5 minutes to find anything in that bag lol. I like to use smaller bags, like Rebecca Minkoffs, for nights and weekends out. I love that Gucci one thought! I'm with you, the bigger my bag the more crap I carry. I have been carrying smaller bags now and I prefer that. The first thing I saw was that card case.... LOVE!!!!!! Seriously... that is so much better than my big ol' wallet! I have had my eye on a Gucci bag for years and years. I am like you, and the bigger the purse the more junk I carry as well. I sort of have to carry big these days to fit all the Zoe stuff I need. That purse looks perfect for the essentials! I love the LV bag. I tend to keep it pretty simple in my bigger tote - but yes, I somehow manage to collect so many pens - how does that happen?!? That first purse is so pretty and the perfect size! I always carry a smaller purse to avoid over packing it. wow so true dear!! Love your handbag! I love that size bag-- and you're right that you can fit a surprising amount inside, without it getting weighed down with extra stuff you don't really need. It's insane what I carry around too. I do try to carry a smaller bag on the weekends but I'm not always good about it. I prefer a bigger bag as I like to carry a bottle of water with me. hah I always get thirsty. My bag is so heavy. Yesterday we were running out and I did the same thing. Sized down with just a few essentials. Man is it nice to do that. I wish I didn't love my wallet so much #couponqueen But as soon as I leave the house without it, I need it. Law of the jungle. Happy Monday! I love getting my bags as light as possible, it is so freeing. I want both bags!! That brush is seriously the best! Yes, my everyday bag has everything I can lug in it or would ever want and my weekend, going out one has just the essentials. I need to purge the work bag! This post is perfect for someone like me who tends to always overpack no matter what. Whether it's for work, school, out and about, traveling; I'm always overpacking. It wasn't until a couple of years ago that I started adding crossbodies to my bag collection, which has helped to really enforce the pack only what I need rule. I love that you not only shared what you tend to carry on the weekends, but your thoughts on both of these bags, which are not only classic, but happened to be trending and I've been eyeing for sometime now, specifically the LV (I'm a huge fan of LV). 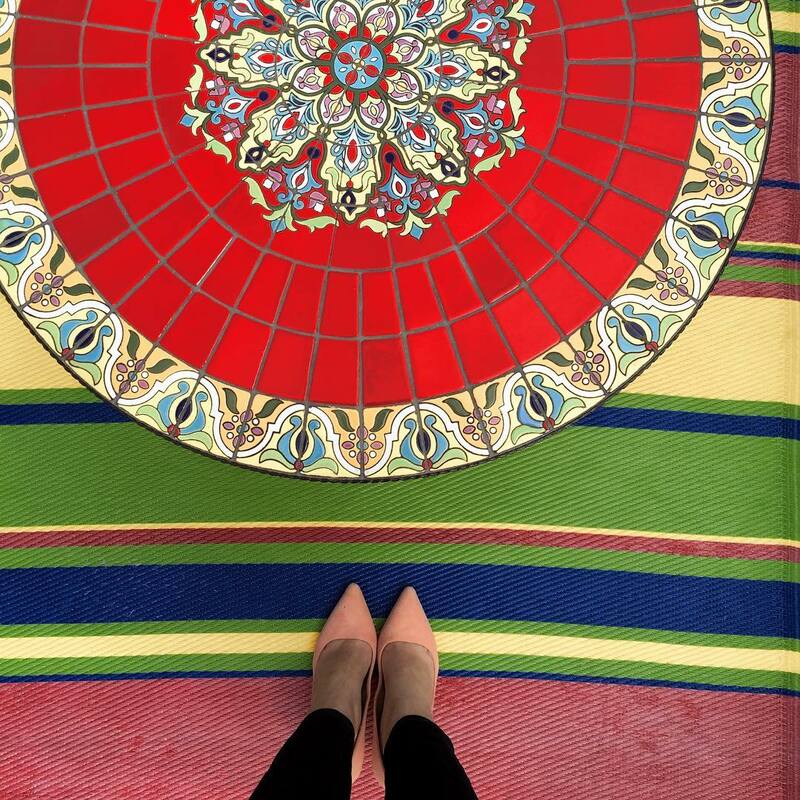 Thanks so much for sharing, beauty, and I hope you're having a great start to your week so far! I love light bags!! Love all your goodies in your bag! Haha I’m one of the worst people about carrying unnecessary things around- case in point the 5 bags that I carried with me today when I started back at the office! I’ve always found that if I carry smaller bags it helps me to carry less things. Maybe I should try it out! Love that small bag! So pretty! Your little Gucci bag is SO adorable! But I have had my eye on the Pochette Metis forever! One of these days I'll pull the trigger! Happy Monday!! This is a great size comparison, and I love both bags!! I definitely agree that if my purse is bigger, then I put a lot more stuff in it that I don't need! Love your bags and your keychain!! I also didn't realize we were the same height! How gorgeous are both of these bags?! Also that key chain is so cute! 90% of my purse is stuff I don't need! I love this post and your bags are gorgeous! I'm drooling over your classic Gucci- such a great size, too! Love love love your Gucci bag! And I just can't do big purses either (unless it's for work). The bigger the bag, the more stuff, the more shoulder pain! I too have "work/weekday" bags and "weekend bags". I much prefer my smaller weekend bags. I have no idea why I feel the need to carry around a giant bag with a million misc. items in it to work each day! I love the LV Pochette Metis you can fit so much into it - it's wonderful! Love your Gucci one too - a small bag is great to have and what a classic pick! I LOVE that Gucci bag and I am so guilty of overstuffing too. I have learned by throwing my things in Bella's diaper bag that I really don't need that much on the day to day grind! I'm 100% with you on collecting junk in a bigger bag. I would rather just carry a small one and only have what I need. I have the worst time trying to find purses I like though, so when I find one, I stick to it... regardless of size... but I've been so annoyed lately because I can't ever find anything I'm looking for in my bigger bags. lol. That LV bag is on the lust list.